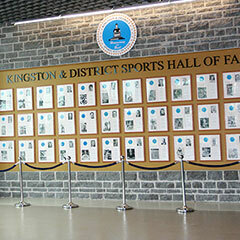 The Kingston and District Sports Hall of Fame 24th Annual Induction Ceremony will be held on Friday, May 3, 2019 at the Ramada Inn, 33 Benson Street, Kingston ON. 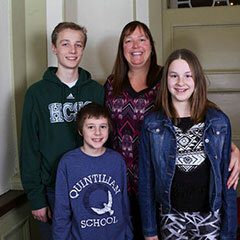 Thank you for visiting the Kingston & District Sports Hall of Fame Website. We hope this journey today will spark your interest to come and visit the Hall in person. Kingston and surrounding area have been well-represented provincially, nationally and internationally by outstanding athletes, builders and athlete/builders over many years. 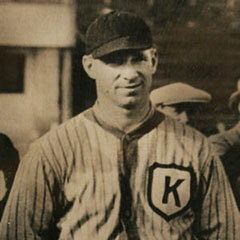 Names such as Arniel, Brown, Bulak, Doucet, Carty, Convery, Elliott, Goodridge, Hawkins, Lavallee, McDonald, O’Connor, Pennock,Skene, Torcolacco, Van Hooser are etched into Kingston’s sporting history. 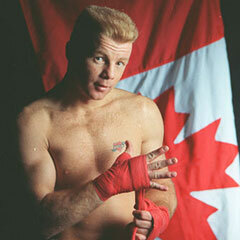 We honour them through induction into our Sports Hall of Fame.